There are some common misconceptions that keep group travel organizers from choosing this option during planning sessions. Here is the truth behind five of the most frequently misunderstood components of bus travel. Why should your group spend hours or even days chewing up miles of highway when you could be whisked to your destination by plane in a fraction of the time? Include trip-enhancing stops that make travel time as much fun as the main event. Give participants more time to interact or collaborate. Increase group security by limiting exposure to large crowds and confusing terminals. When time is of the essence, air travel may be your only true option. 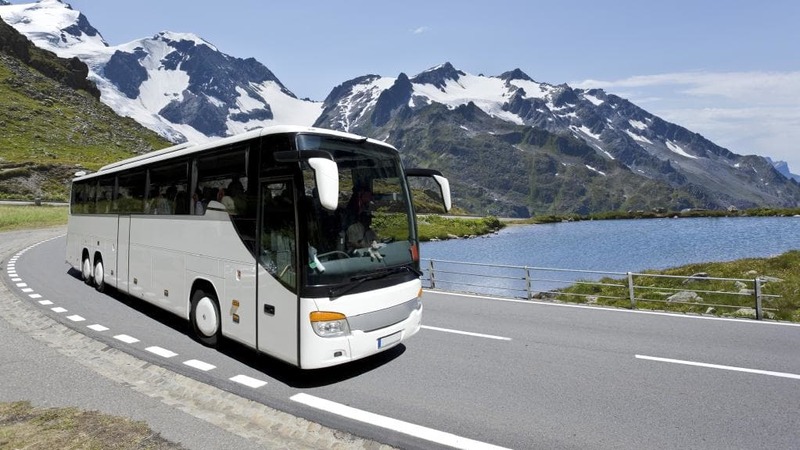 However, bus travel offers some important benefits for your group excursion. Aren’t bus seats tiny, tight, and impossible to relax in? Not only are coach seats more spacious than almost anything you can get on a major airline, but there are also other unique comforts to rental buses that you just can’t get anywhere else. Rent a bus with a beverage bar for extra fun on adult trips. Choose a bus with onboard bathroom to reduce comfort stops. Pick a bus with more seating to allow travelers to spread out while on the road. With a professional coach operator at the helm, charter buses are more comfortable than driving your own vehicle. Won’t the endless miles of monotonous roadways bore your travelers to tears? Use some common amenities to increase the fun on your group trip. DVD players allow groups to enjoy movies and music throughout the drive. WiFi capable coaches with power outlets keep your travelers connected. PA systems let organizers conduct contests and games. Modern charter buses are equipped with the latest entertainment technology for your travel pleasure. Isn’t it easier for group travel organizers to just buy plane or train tickets? Rentals include the services of a knowledgeable and experienced coach operator who will take care of all the routing details. Moving trip participants in-between venues and locations is simplified with a rented coach. Most rental companies include all of your fuel, parking, and travel fees in your final price. While it may save time during the planning stage, bus rental is just as simple as other travel methods. Don’t bus rentals add extra expense to multi-day trips? With the price of overnight lodgings in-between stops, it seems to make more sense to opt for the airplane ride. Choose a sleeper bus to accommodate up to 12 passengers comfortably. Skip the hotel fees and explore the more secluded pathways in confidence with built-in beds on your charter bus. Charter bus travel is just as luxurious, convenient, and cost-effective as other modes of transportation. It also offers some unique perks for your group travel trip. Don’t let these five myths keep you from the group bus travel trip of your dreams.